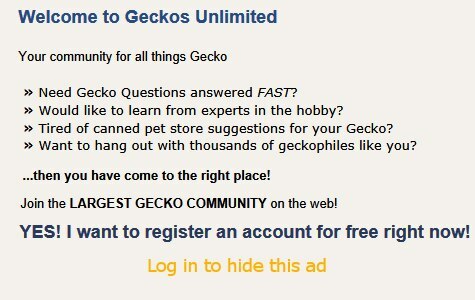 Sticky: Important leopard gecko forum info!!! Sticky: Who are the moderators on these forums??? Sticky: Leopard Gecko Frequently Asked Questions: Caresheet Info Plus! Meet little Iggy + help with sexing?? Newbie here, This is my collection. Hi all! Meet my two ladies! Oh no! My SCOOBY isn't a boy. HE'S A GIRL!!! !